Return to Regency Romance with me! Miss Darcy has been so thrilled with the success of the first three seasons of Downton Abbey because its popularity has rekindled an interest in other historical periods, especially the Regency period. The on dits and scandals in the Regency period are usually quite salacious and always fun to read about. You don’t have to wait for the new seasons of Downton Abbey when you can pick up a charming, witty and humorous Regency to read. The Sweet Deception Regency romances are a blend of Jane Austen and Downton Abbey. It’s a series about the gentlemen of the ton who are members of Sweet’s Racing Club and the women they love. They share stories of independent women who want love without compromising their own principles. Fiercely loyal to family and friends, they want to find a man who will love them for the qualities they display and treat them as equals in the game of love and life. Come back in time with Miss Darcy to the Regency world. This is the most exciting news. 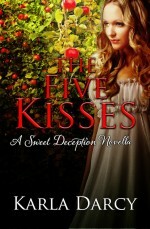 The newest book in the Sweet Deception Regency series has just been published. Surely you didn’t think Miss Darcy could just rest on her laurels now that The Divided Hearts is out in the world. 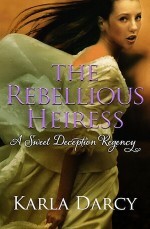 The Rebellious Heiress is Book 8 of the Sweet Deception Regency series. Only a slowtop or dunderhead would be so foolish as to let the latest on dits pass them by. You might be heading off to your shooting box or in the process of closing the summer estate but there’s still time to recline on the chaise and read the next adventure. One must conserve one’s energy for the season ahead. After all what is the staff for if not to make your life simpler. Don’t wait to hear about it at Almack’s. Sign up for Miss Darcy’s mailing list so you’ll be the first to get the word when the next book in the series is published. Click HERE.